He was born on 4-27-13. 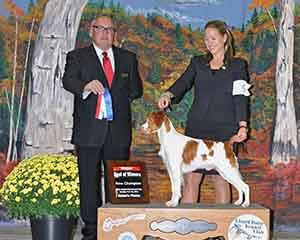 Dam is GCh Ch Sanbar’s There’s Only One Call “JD” OFA Excellent. He is owned by Barbara Pepin.